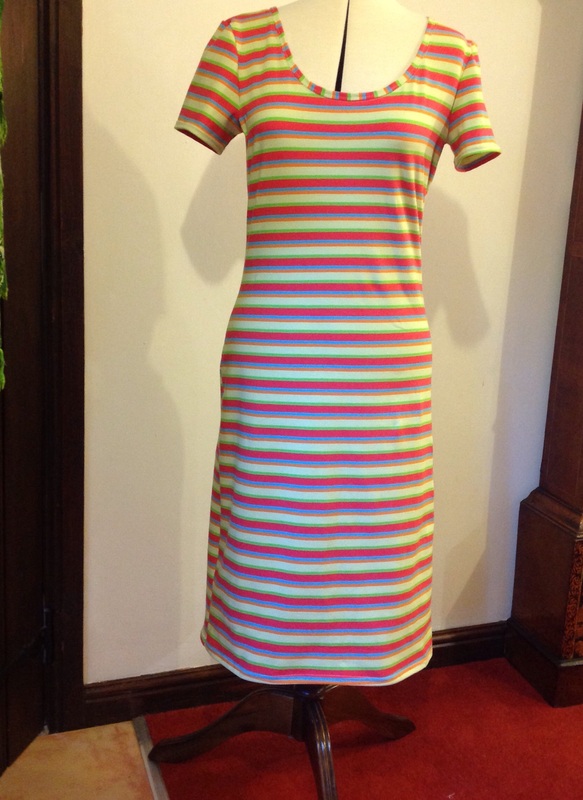 This was a really speedy make, for me anyway, I made it in 4 hrs (including lunch as I need food when sewing). I have a gorgeous great niece, who’s first birthday is coming up on Monday and I haven’t met her yet! That is awful, and there is no real excuse except they live quite a distance away, and everyone is always busy these days. 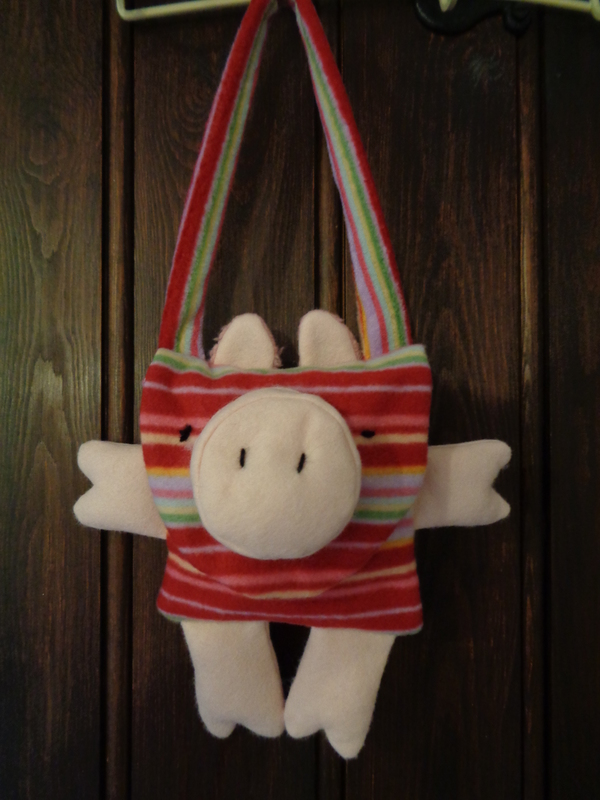 So I set to and thought she may like a little animal bag and this Simplicity 1386 Pattern bag is so cute. 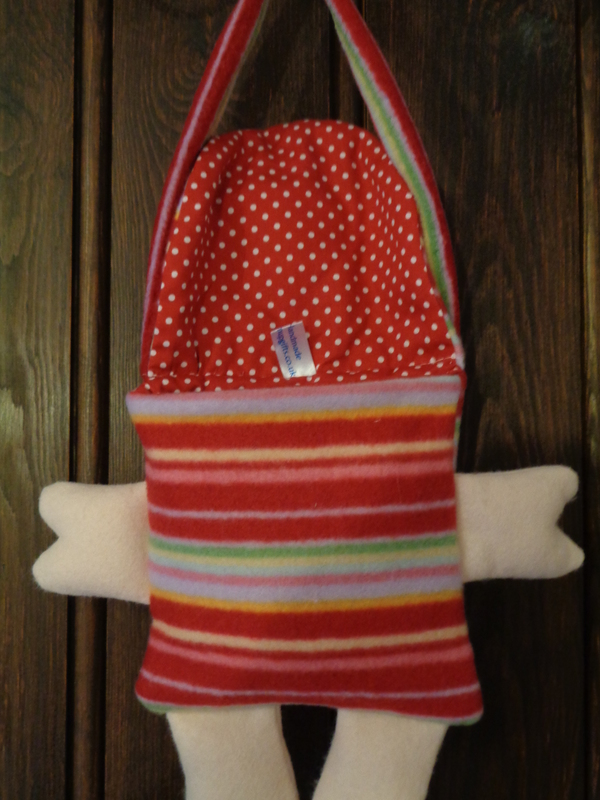 I used this bright stripey fleece as children do like brightness and lined it with red and white spotty cotton. There is nothing for her to pull off and eat, and the handle is only short. So I hope she and her Mum like it! 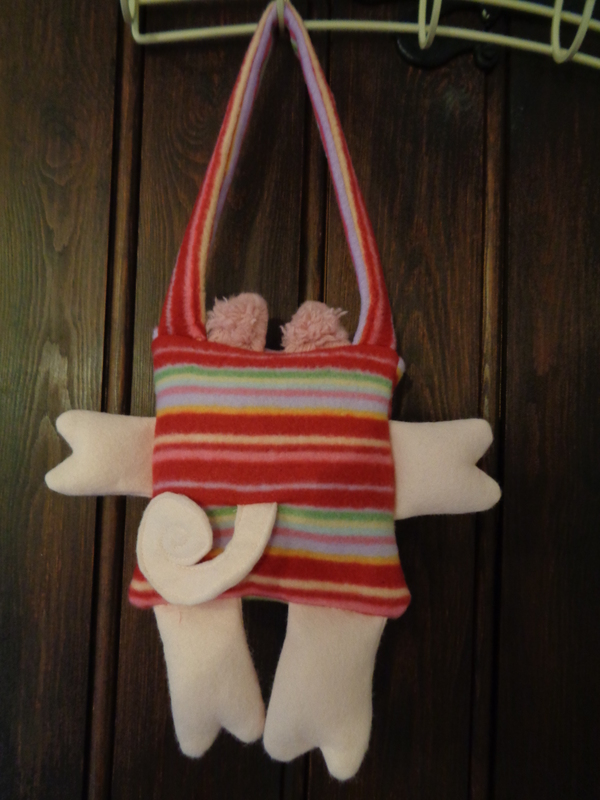 If anyone needs a quick girl child’s gift to make, this may be it! I have been sewing clothes since 12, first on a hand powered Singer with a choice of lock stitch and reverse, and oh boy what production went on with it. I remember with great pride the bakers boy hat created during The Beatles first years of fame. Unfortunately I have no picture of this milliners perfection but I do have one of this my latest effort! It took three machines and two hours to complete and I wonder which gave me the most joy to make, probably the hat . Anyhow in case you would like to create your own version of this, it is a McCalls 6612 pattern. Very easy , not even a zip to trouble you. The lovely heavy weight fabric I bought online from http://www.dittofabrics.co.uk I recommend the site.